Thirty-five percent of voters ranked climate change and environment policy as the number-one issue that determined their vote, ahead of the economy (25 percent) and heath (12 percent). Coogee is the Liberal’s second-most marginal seat after East Hills. Exit polling commissioned by Greenpeace and the Nature Conservation Council had the Liberals’ primary vote at 31 percent, down more than 15 percent, and the Labor vote up 8.5 points to 41 percent. While this is an interim result, it points to a comfortable Labor victory. Nature Conservation Council CEO Kate Smolski said: “Voters are deserting the NSW Liberals for eight years of inaction on climate and energy, just as they punished the Liberals in Victoria and the Wentworth by-election. “People are fed up with excuses and delaying tactics by the Coalition, which has prevented action on climate change to protect big coal corporate profits. “Ms Berejiklian has done little to respond to climate change even though New South Wales has been gripped by drought, scorched by bushfires and sweltered through record heat waves during her term as Premier. environment made them less likely to vote for the NSW Liberal party. 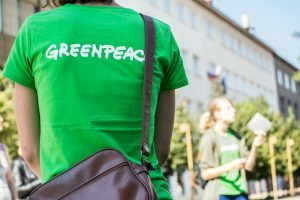 Greenpeace Australia Pacific Campaigner Alix Foster Vander Elst said: “It is becoming more and more obvious that inaction on climate change is a vote killer. Scott Morrison ignored that message in the Wentworth by-election and the Victorian election, but maybe third time around he will get it. “This election has been shaped by climate and the federal election won’t be different – voters are not going to put up with inaction any more. “Gladys Berejiklian put action on climate change on hold in the misguided belief that voters wouldn’t notice, but they have. When 79 percent of people are saying the issue influenced their voice, then it’s time to act. Exit polling was conducted by Lonergan Research. Researchers held face-to-face interviews with 1481 respondents at 14 booths in the electorate of Coogee between 8am and 2pm on Saturday, March 23.